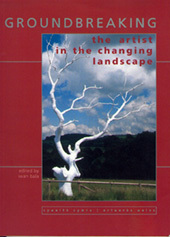 These essays explore the changing relationships between art and the environment. Shelagh Hourahane and Hugh Adams, the two main essayists, discuss the notion of "public art" and how it has been manifested. Adams digs deep into human history to discover what has constituted public art for past societies and charts the influences of the past on an ever-evolving historical present. Hourahane surveys the work of Cywaith Cymru (Artwork Wales) over the last 20 years and looks at the development of both the art and the organization.